The DVDFab Player 5 is a media player that has had some rave reviews. This is a Blu-ray player that supports 4K Ultra HD Blu-ray Disc playback as well as DVD, BDAV and AVCHD. The software has Ultra, Standard and Free versions that are retailing at $99 and $59. Note that the freeware version doesn’t support Blu-ray Disc, and you’ll need the Ultra version for 4K Blu-ray playback. You can add the freeware DVDFab Player 5 to Windows 10, 8.1, 8 and 7 by clicking Free Download button for the software on this webpage. DVDFab Player 5 might not be the most economical media player, but it enables you to watch Blu-ray Disc and DVD on both PCs and TVs at top-notch 4K picture quality and includes a HDR10 playback mode. Furthermore, DVDFab Player 5 is one of few media players that supports 3D Blu-ray Disc for 3D films with four 3D output modes included. The media player also supports Dolby TrueHD, DTS-HD and Atmos for top-notch lossless audio output. Aside from supporting the latest video and audio tech, DVDFab Player 5 includes some handy features. Users can select a TV Mode or PC Mode to optimize playback for TVs or VDUs. 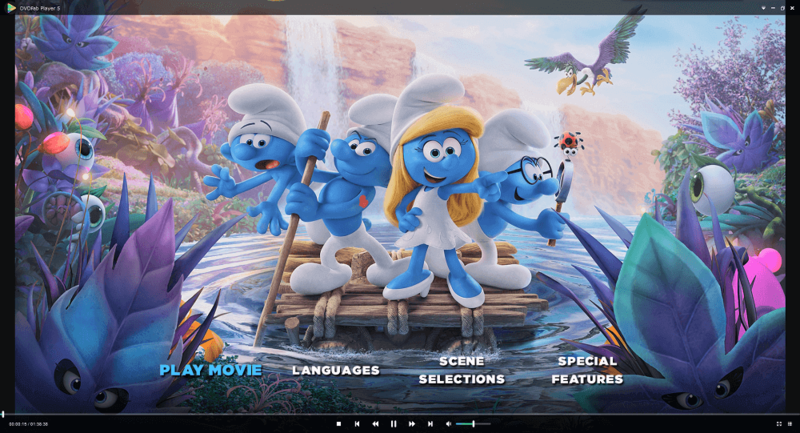 The media player supports Blu-ray menus, and users can select a Menu Mode to play the disc with menus or a Simple Mode just to play the film. It includes a customizable playlist tool with which you can set up movie playlists. Thumbnail previews for videos is something the publisher has confirmed it will soon add to DVDFab Player 5. So, DVDFab Player 5 is definitely a rising star of a media player that’s well worth noting. So take your pick from any one of those Blu-ray players for Windows 10. They provide some of the best Blu-ray Disc playback at 4K or 1080p resolutions. Even if you don’t need to play Blu-ray content, they’re still great media players that you can utilize for DVD, video and music files.